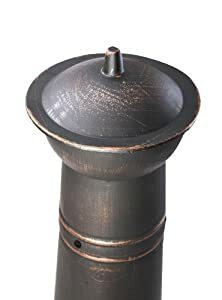 Garden incinerators & Fire Pits are now offering the extremeley popular Primrose Large Bronze Cast Iron Chimenea With Steel Flue for a brilliant price. 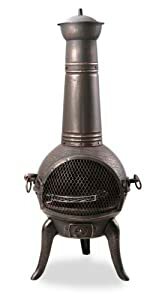 Don't miss out - buy the Primrose Large Bronze Cast Iron Chimenea With Steel Flue online now! A chimenea is the perfect solution to keep your party guests warm and cosy during those long evening of story telling and wine drinking. 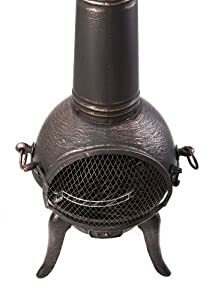 This sturdy outdoor furnace has a cast iron body and legs, while the flue is made of hardy steel. A durable stainless steel grate holds back the flames. 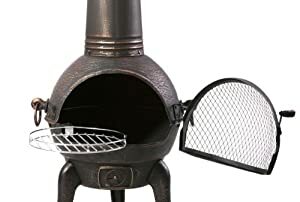 Coming complete with a little pull out grill, perfect for barbecue bits, there's nothing stopping you from continuing your gathering long into the night. 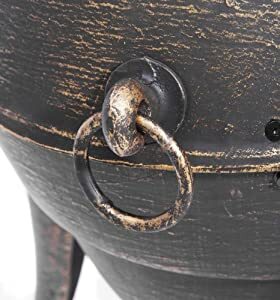 Easy assembly instructions ensure that your chimenea is easy to put together, giving you more time to load it with wood, light a match and get the fire started. 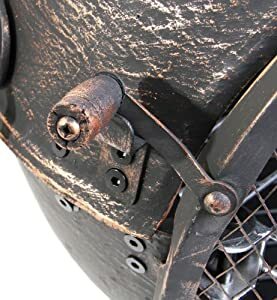 A weatherproof cover is available for purchase to keep your chimenea at its best.